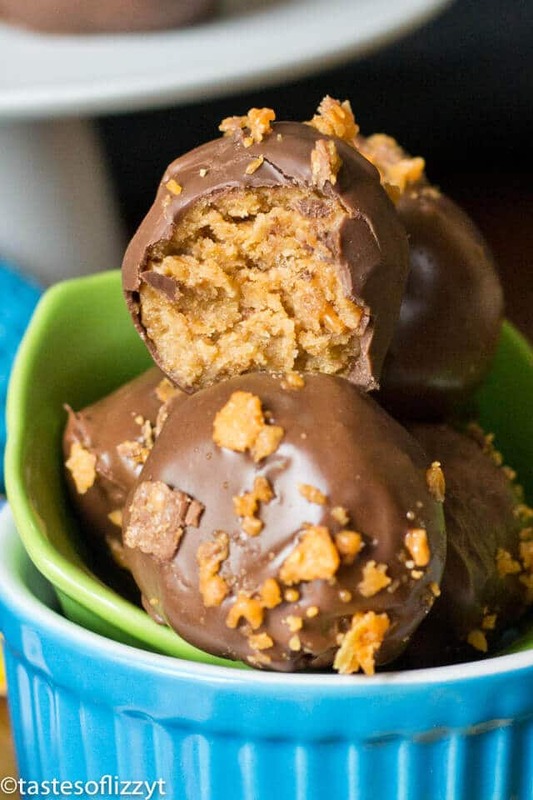 If you’re a candy addict, you need to try the Best Butterfinger Recipes! These desserts inspired by the classic candy bar are absolutely to die for. You won’t be able to get enough! 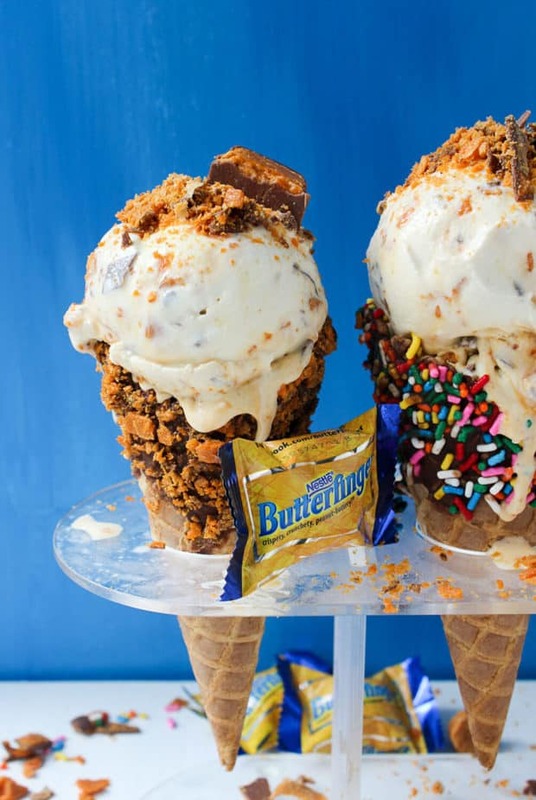 I love Butterfinger candy, so obviously I think that these desserts are about the best thing on the planet. 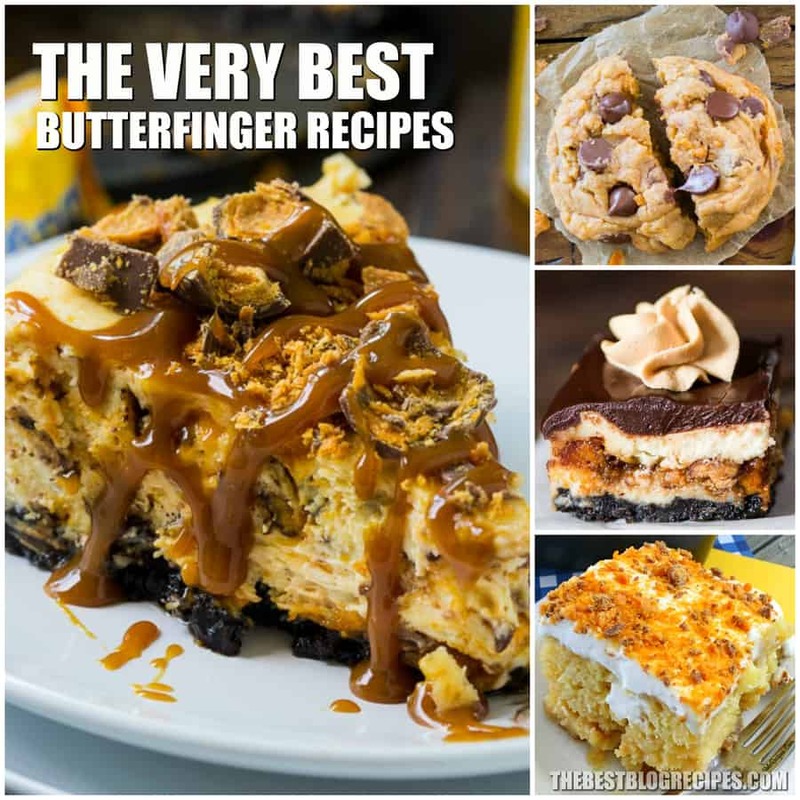 Even if you aren’t in love with Butterfinger, you wont be able to get enough of these desserts! 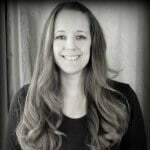 They are that good! 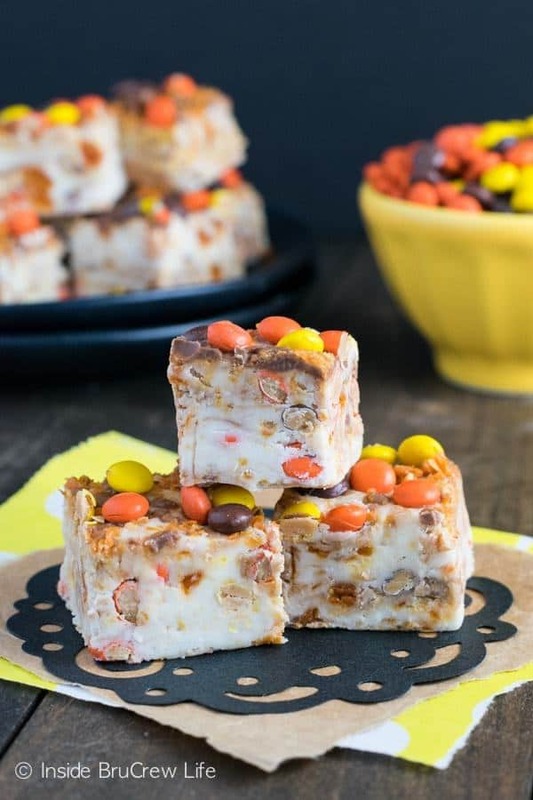 There are so many delicious and incredibly simple ways to make Butterfinger inspired desserts, which is why we have compiled our absolute favorite and the most popular candy bar inspired treats. Everything about these recipes is amazing. What could possibly be better than one of our favorite candy bars combined with all of our favorite desserts? You will love how simple these treats are to make. One thing I love about the Best Butterfinger Recipes is that they take hardly any time to make and I am left with a dessert that everybody completely loves. Nothing to me is better to me than desserts that are just as easy to make as they are delicious! There are so many amazing Butterfinger desserts including cakes, cupcakes, brownies, fudge and cookies. No matter what kind of dessert you are craving, this list will have something amazing for you to make! 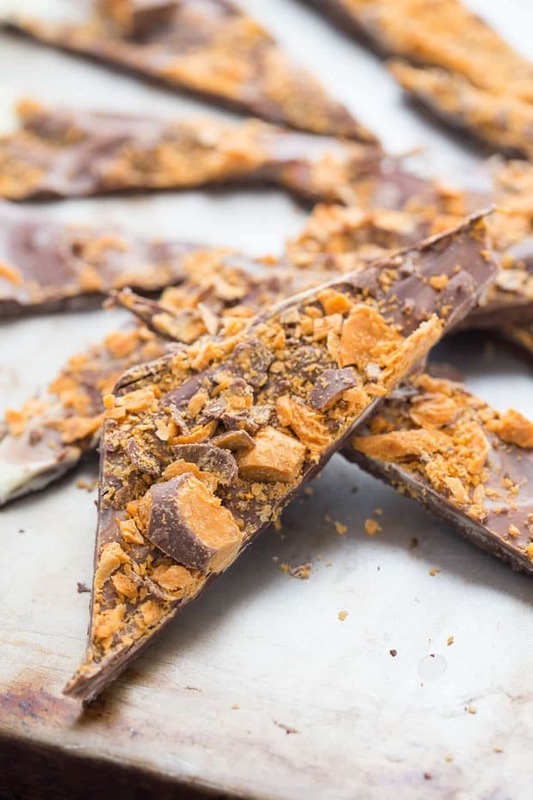 Have fun making the Best Butterfinger Recipes. 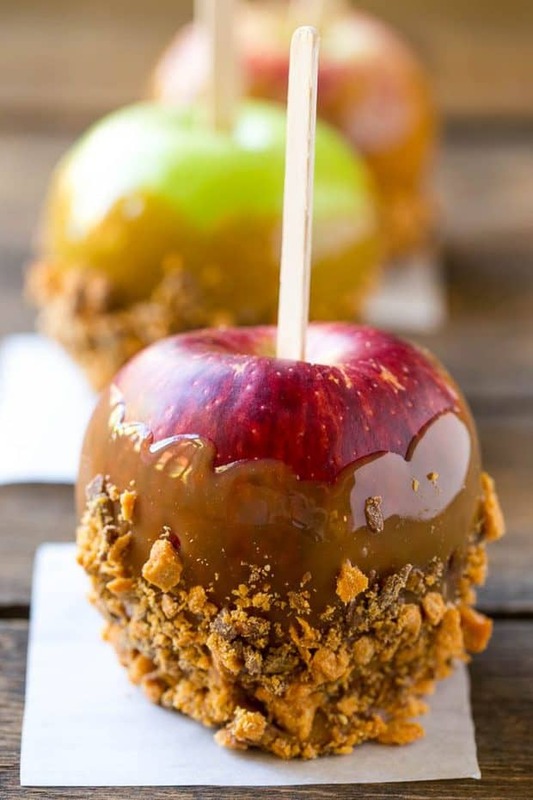 We know that you and your family are going to adore these treats for years to come! 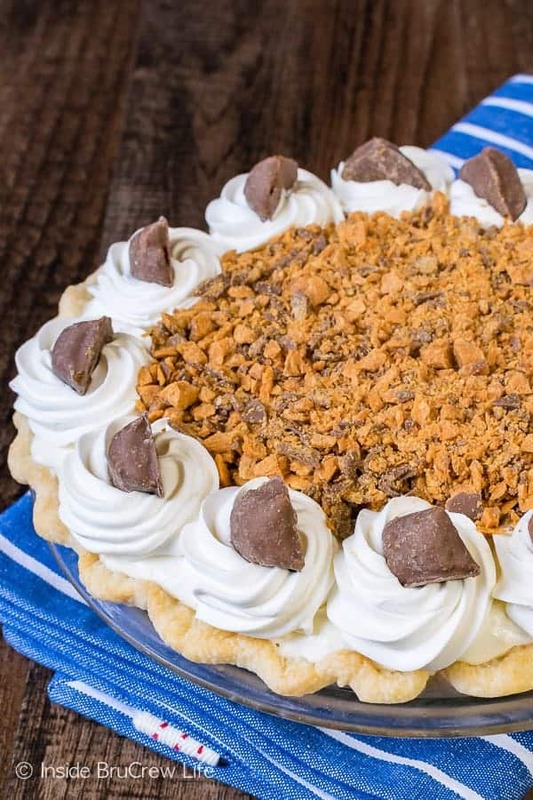 From Spicy Southern Kitchen :: Click HERE for the RECIPE This cool and creamy Butterfinger Pie is the stuff dreams are made of. It’s a no-bake dessert that’s so easy to make. 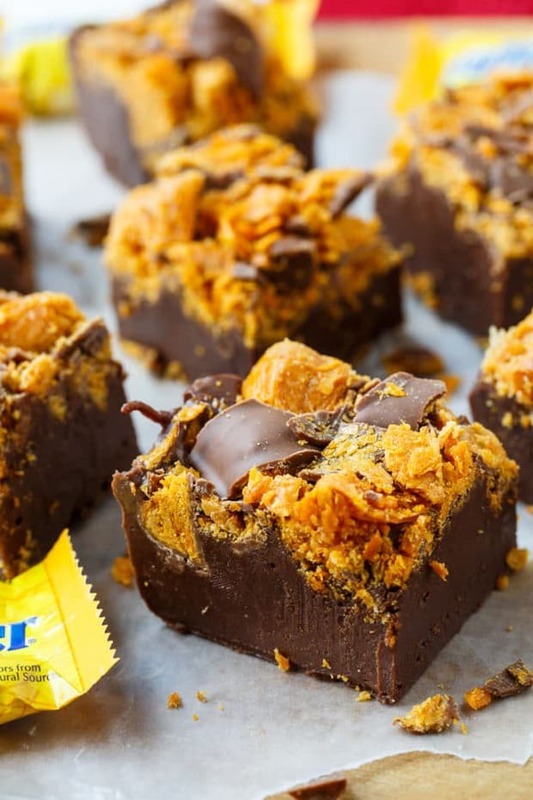 Perfect for using up leftover candy and also a great excuse to buy some Butterfingers! From Wry Toast :: Click HERE for the RECIPE There’s nothing quite like an ice cream cone to celebrate summer. 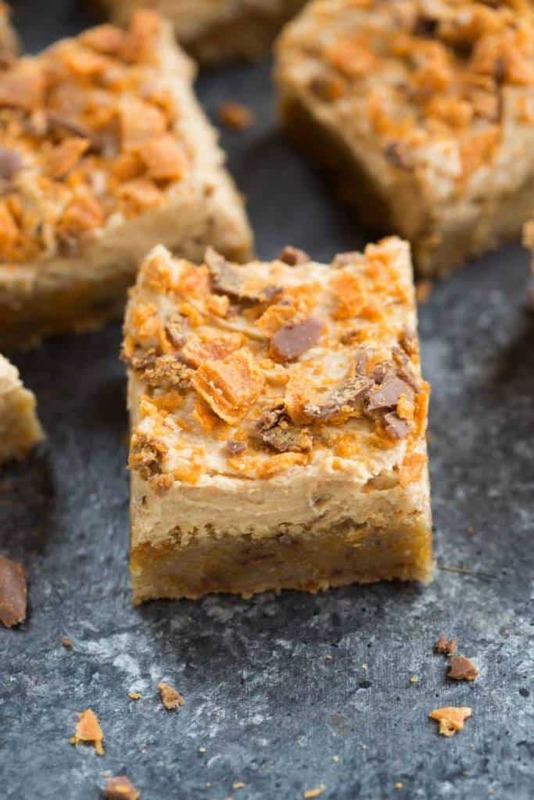 From Tastes Better From Scratch :: Click HERE for the RECIPE Soft and chewy Butterfinger Cookie Bars with a light, creamy Butterfinger frosting. 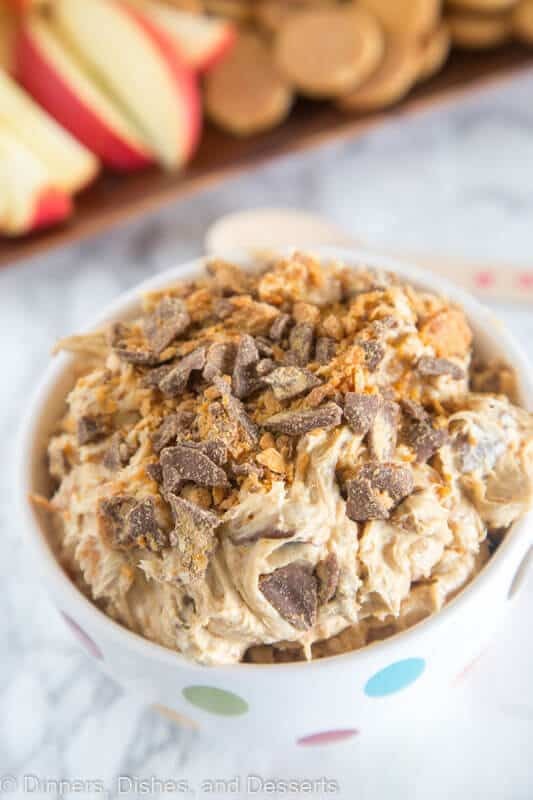 From Dinner Dishes and Desserts :: Click HERE for the RECIPE Peanut Butter Butterfinger Dip – creamy peanut butter dip with lots of crushed Butterfinger candy mixed in. Perfect with apple slices, Nilla wafers, or just a spoon! 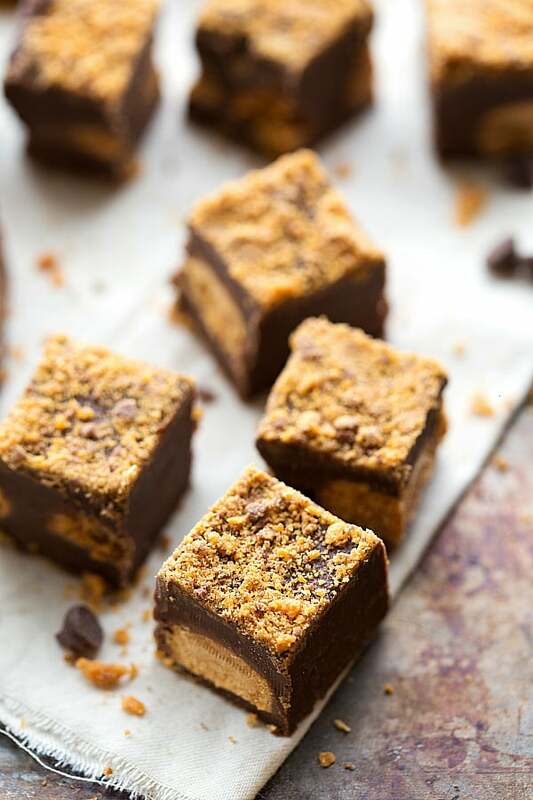 From Tastes of Lizzy T :: Click HERE for the RECIPE Butterfinger Nutter Butter Truffles…You’ll love this tornado of cream cheese, Nutter Butter cookies and Butterfinger candy bars rolled up and covered in chocolate. From A Latte Food :: Click HERE for the RECIPE This easy puppy chow (muddy buddies) recipe is full of chocolate, peanut butter, and both Butterfinger Fun-Size Candy Bars and Butterfinger Peanut Butter Cup Minis! 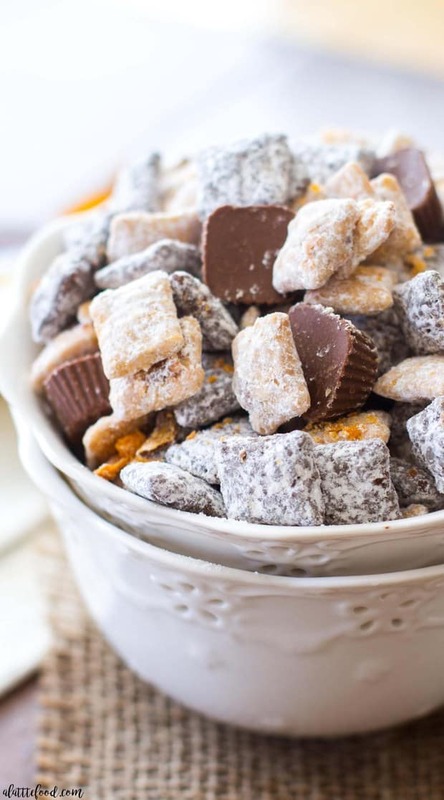 This Butterfinger Puppy Chow is the best party snack around! 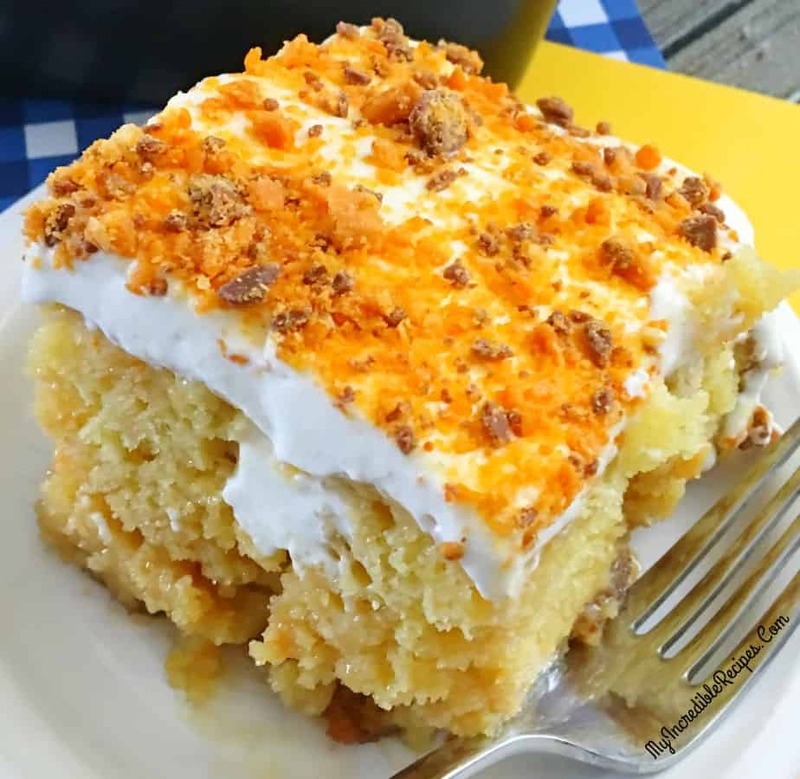 From Spicy Southern Kitchen :: Click HERE for the RECIPE So many delicious, creamy layers and the buttery crunch of Butterfinger candy. This Butterfinger, Chocolate, and Peanut Butter Lush is pure heaven. 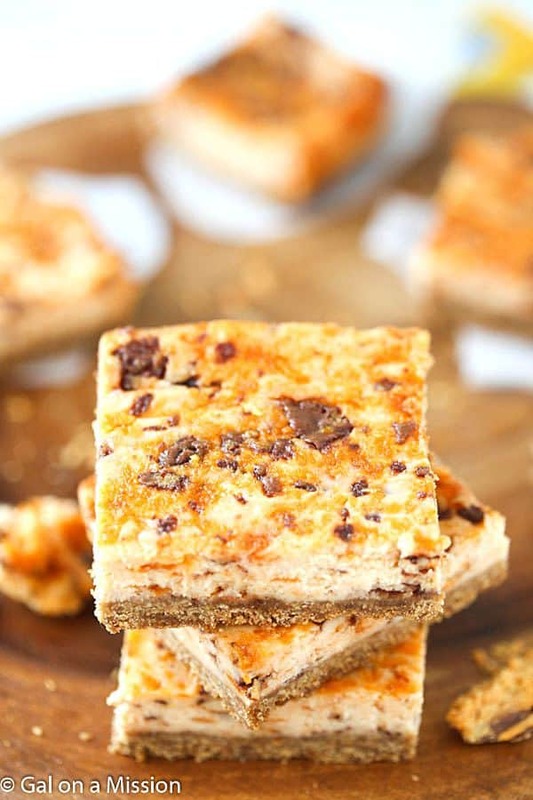 From The Recipe Critic :: Click HERE for the RECIPE Butterfinger Cheesecake Bars – A crunchy graham cracker crust, then layered with an outrageous, creamy cheesecake mixed with chopped up butterfingers! From The Salty Marshmallow :: Click HERE for the RECIPE Peanut Butter Butterfinger cookies are perfectly soft, chewy, peanut butter cookies filled with sticky sweet Butterfinger baking bits! 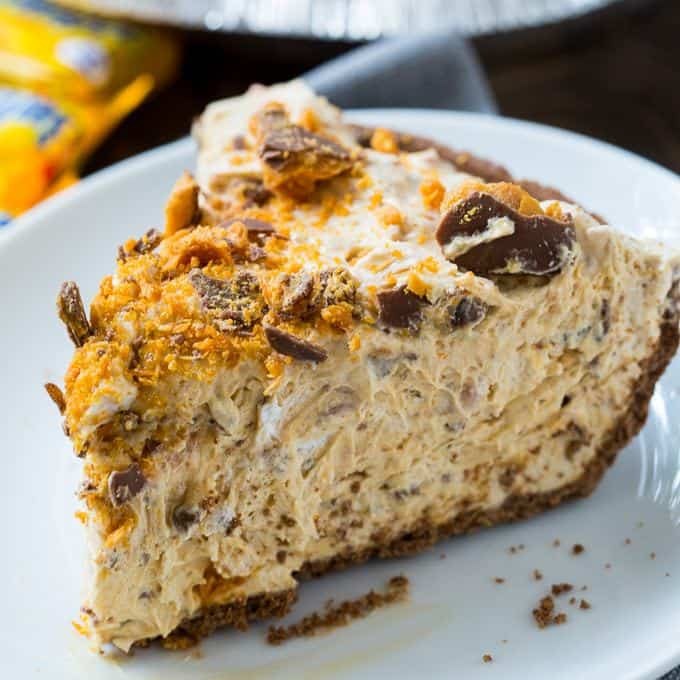 From Spicy Southern Kitchen :: Click HERE for the RECIPE Butterfinger Cheesecake is a rich and creamy cheesecake with an oreo crust and lots and lots of crushed Butterfinger candies both in the filling and on top. To make it even more delicious, drizzle some Butterscotch sauce over it. 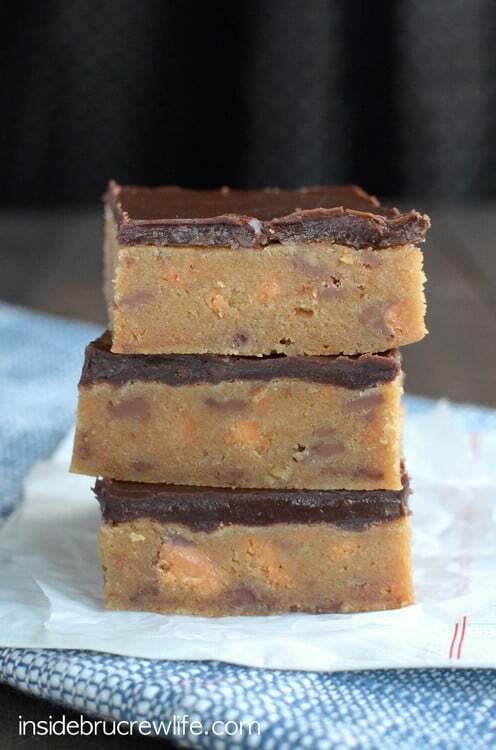 From Spicy Southern Kitchen :: Click HERE for the RECIPE Butterfinger Fudge only takes minutes to make and it is so delicious! I love how crispy and flaky Butterfingers are with that awesome peanut butter goodness. They definitely take the flavor of fudge up a notch! From Sugar Spun Run :: Click HERE for the RECIPE Chewy, pudding infused Butterfinger cookies jam-packed with crunchy Butterfinger candy pieces. 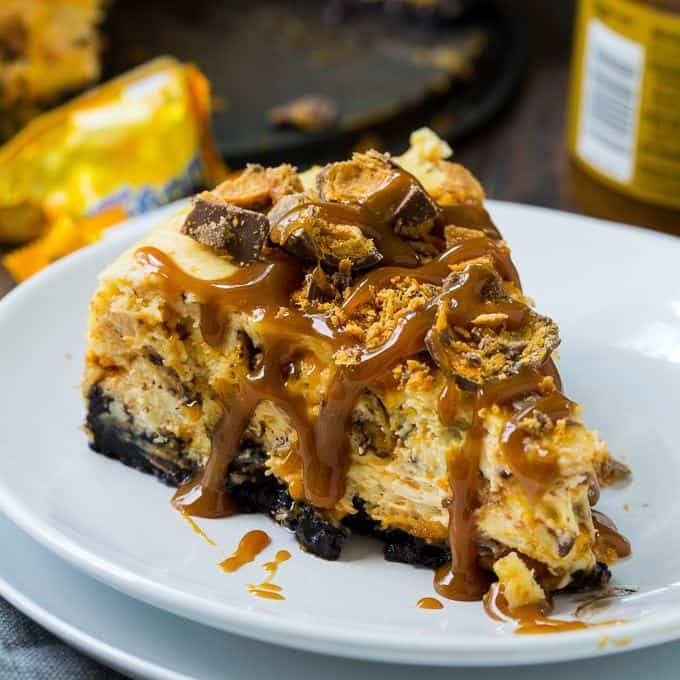 Reese’s Butterfinger Cheesecake Bars are our copycat version of The Cheesecake Factory’s Adam’s Peanut Butter Cup Fudge Ripple Cheesecake. 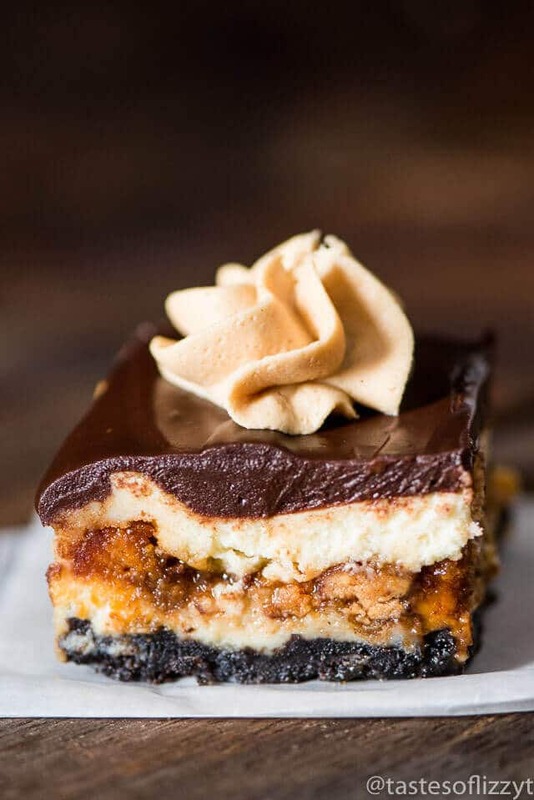 Creamy cheesecake stuffed with two kinds of candy bars, caramel, and topped with chocolate ganache and peanut butter frosting. From Lemons for Lulu :: Click HERE for the RECIPE I think I’m going to drown my sorrows in Butterfinger bars this week. Actually Butterfinger Bark to be exact. I love Butterfinger candy bars. 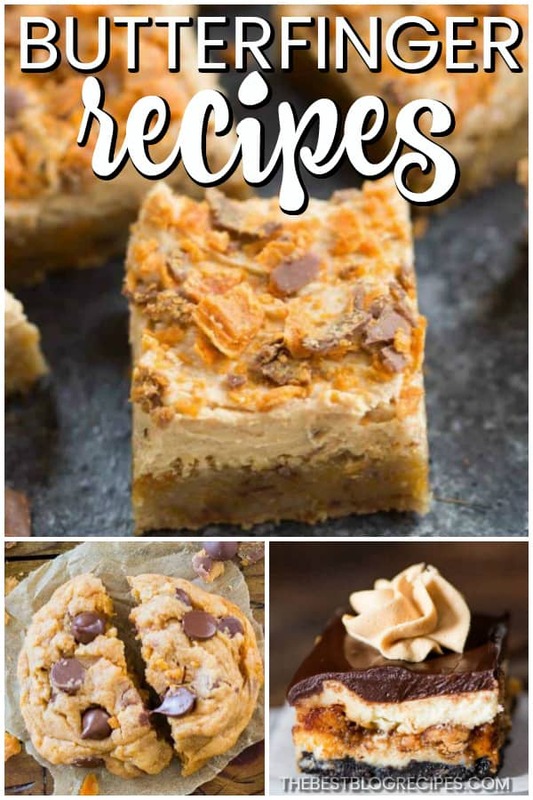 From 5 Boys Baker :: Click HERE for the RECIPE These Butterfinger Blondies are an all-time favorite at our house and requested by many, many friends. They are just crazy, crazy good! From The Recipe Critic :: Click HERE for the RECIPE This fudge is to die for!! 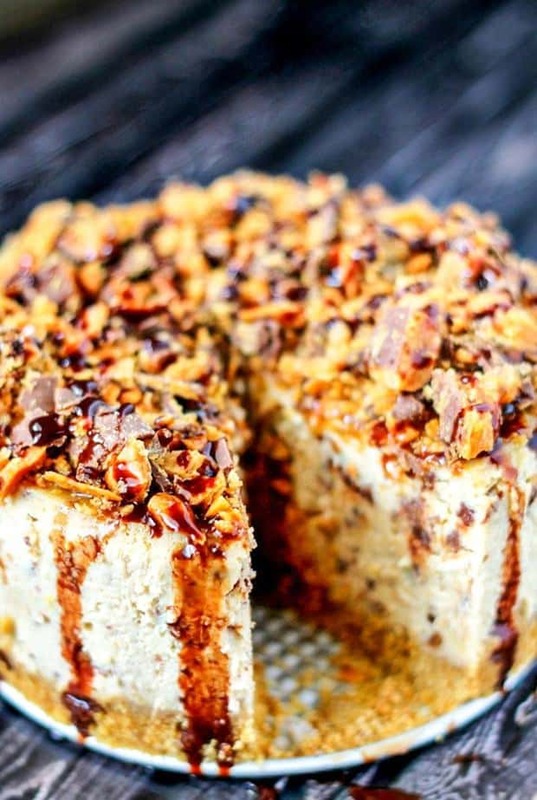 From Baked By an Introvert :: Click HERE for the RECIPE There is so much to love about Butterfinger Cheesecake with Caramel Drizzle. 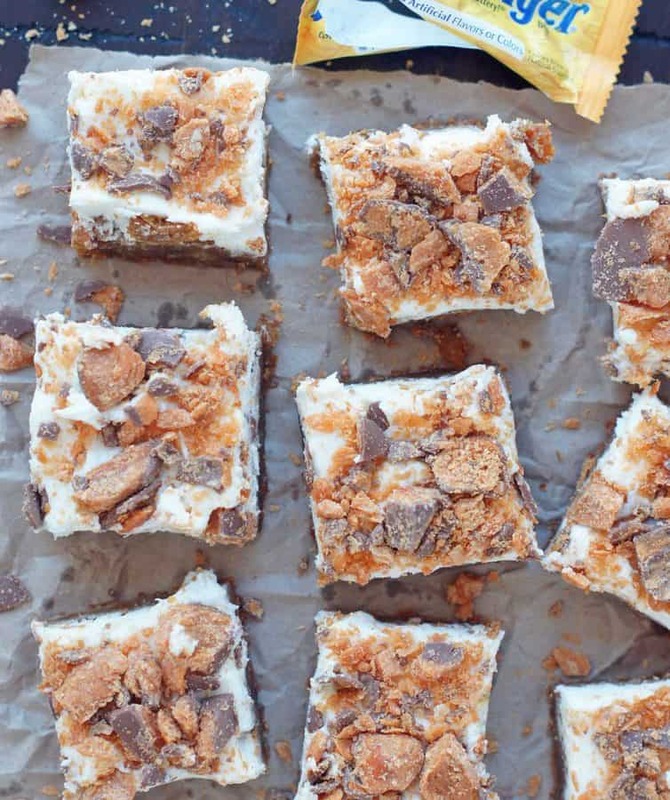 Butterfinger candy bars and cheesecake is an incredible combination. It’s truly a match made in cheesecake heaven! 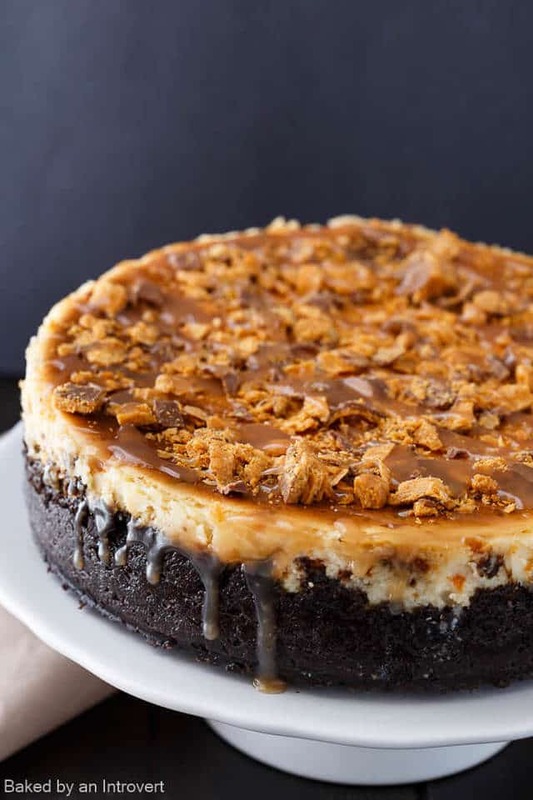 Loads of chopped Butterfinger candies fill the body of the cheesecake and more is added over the top. The whole thing rests on fudge-filled sandwich cookies that have been crushed into crumbs for a rich chocolate crust. And let’s not forget the drippy caramel drizzle. This decadent cheesecake is sure to be a delight. 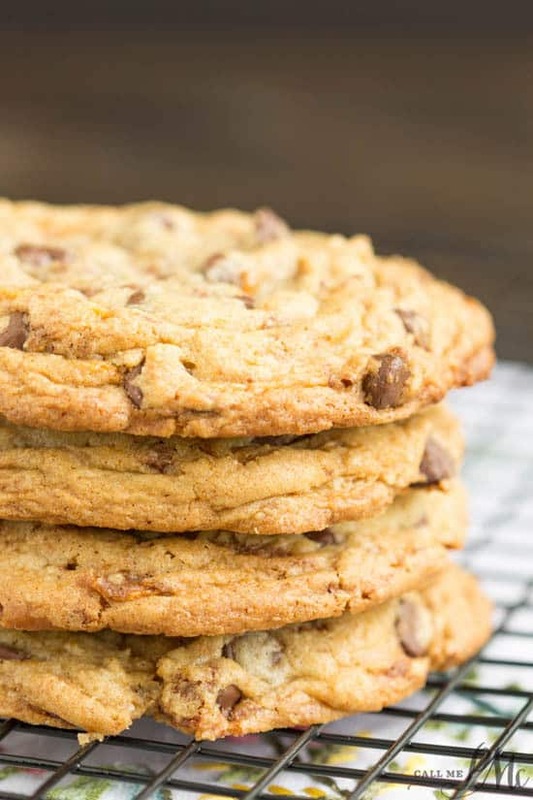 From Call me PMC :: Click HERE for the RECIPE Loaded Butterfinger Chocolate Chip Toffee Cookies are completely full of candy bars and chocolate goodness. From Inside Bru Crew Life :: Click HERE for the RECIPE How amazing do these look? 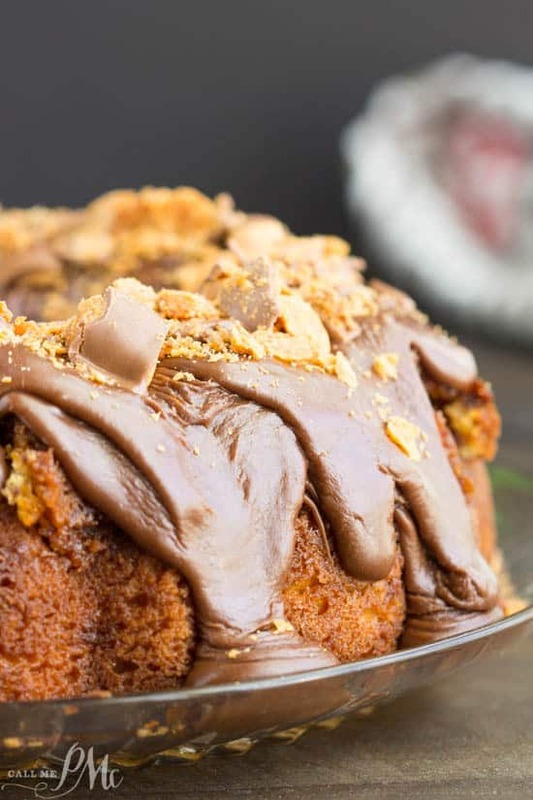 From Call Me PMC :: Click HERE for the RECIPE Cake Mix Butterfinger Pound Cake with Chocolate Ganache. A rich butter cake is absolutely filled with crushed Butterfinger candy bars then topped with chocolate ganache and more candy bars. 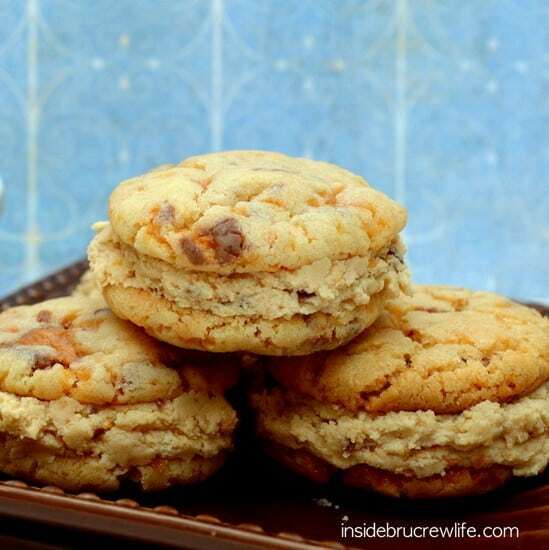 From Creations By Kara :: Click HERE for the RECIPE Butterfinger Cookies . 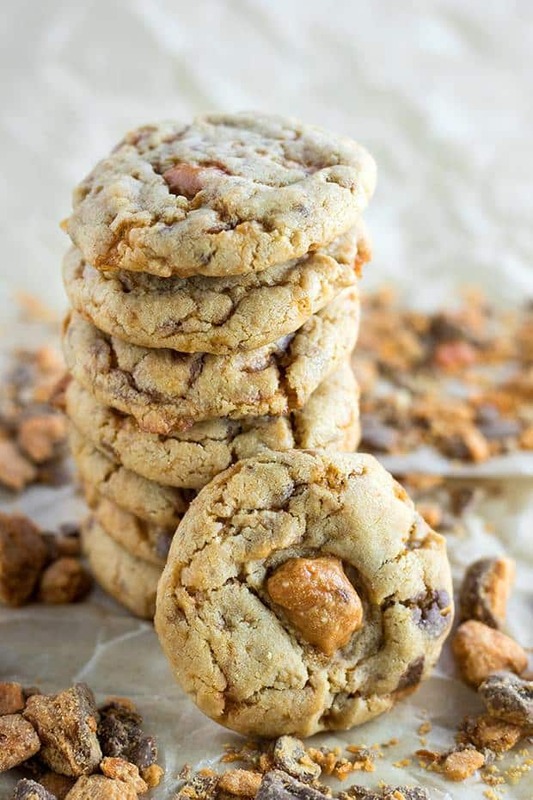 . . soft and chewy peanut butter cookies loaded with chunks of Butterfinger. 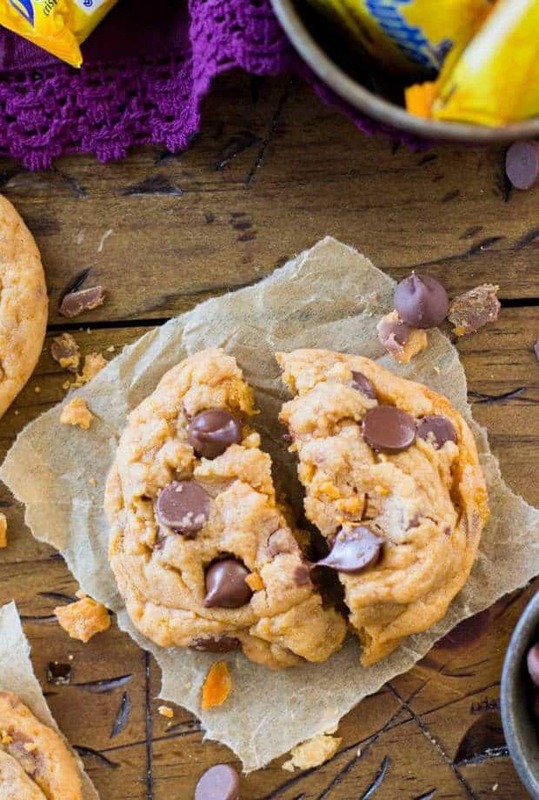 A perfect cookie for peanut butter lovers. 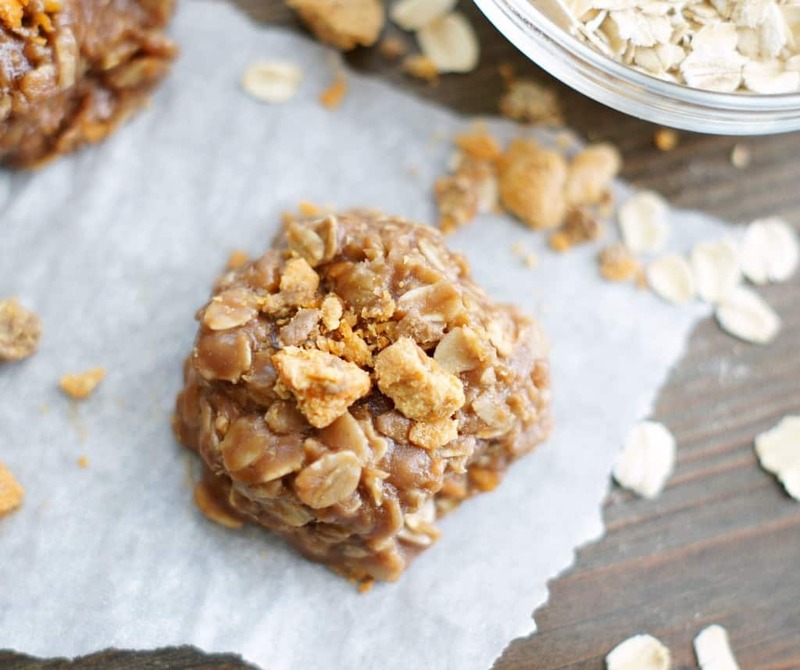 From 5 Boys Baker :: Click HERE for the RECIPE Raise your hand if you’re a fan of the classic no-bake cookie? I don’t know about you, but both my hands are raised. I love no-bake cookies. I’ve been making these since I was a kid. They’ve always been one of my favorites . . .I’m sure it has nothing to do with the fact that (1) it’s chocolate and peanut butter together, and (2) Duh, it’s a cookie. From Inside Bru Crew Life :: Click HERE for the RECIPE Looking for a way to use up all those bowls of candy from the past weekend? We used some of ours to make Butterfinger Blonde Brownies. Blonde brownies, candy, and chocolate will make these yummy bars disappear in a hurry. 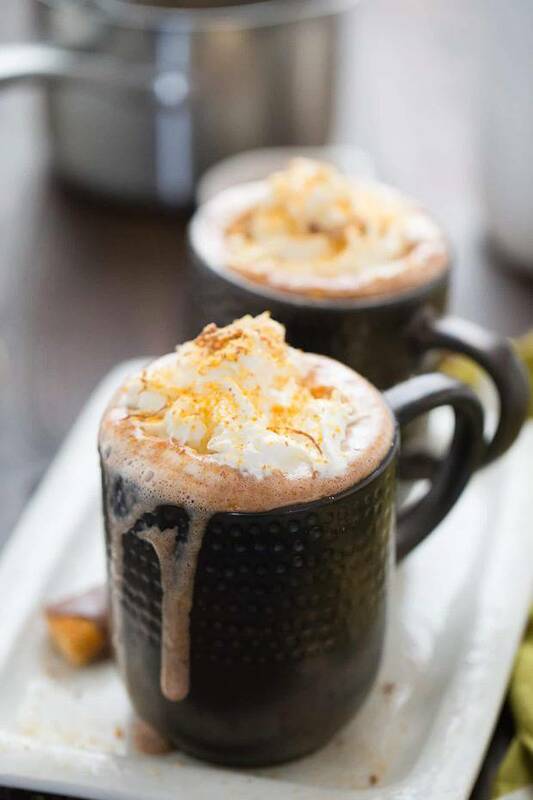 From Lemons For Lulu :: Click HERE for the RECIPE A lusciously rich and smooth hot cocoa recipe that tastes like Butterfinger candies. Oh, and did I mention the booze? From My Incredible Recipes :: Click HERE for the RECIPE This is one of the most delicious and EASY cakes you can make! 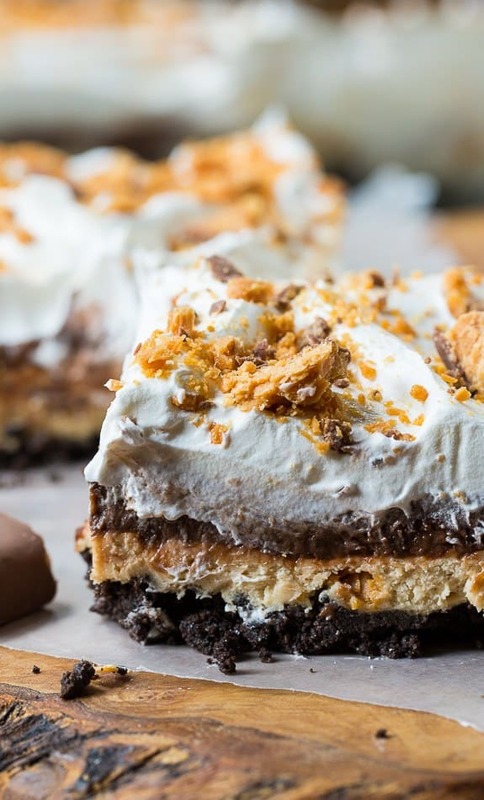 From Inside Bru Crew Life :: Click HERE for the RECIPE The creamy and crunchy layers in this Peanut Butter Butterfinger Pie will have you going back for more. It is a decadent and easy dessert to make for the holidays. 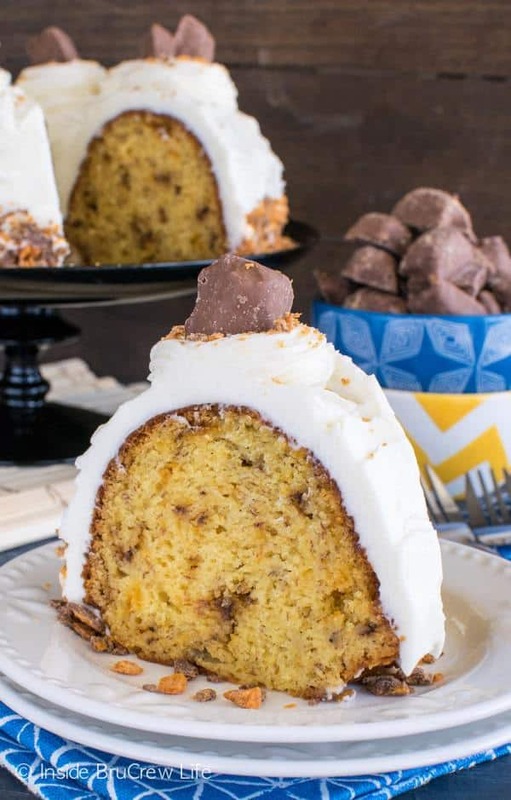 From Inside Bru Crew Life :: Click HERE for the RECIPE Swirls of Butterfinger candy bits and cream cheese frosting add a fun twist to this easy Banana Butterfinger Bundt Cake. It’s a great way to use up those ripe bananas on the counter. 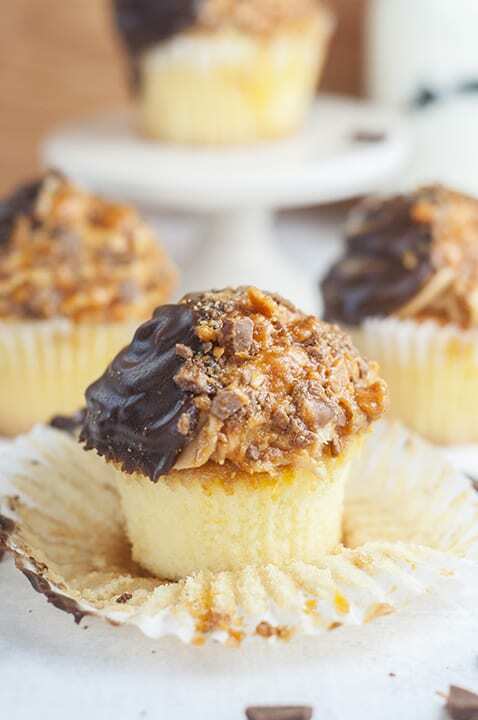 From Wishes N Dishes :: Click HERE for the RECIPE The ultimate soft and fluffy Vanilla Butterfinger Cupcakes are loaded with flavor and the perfect dessert recipe for the candy and peanut butter lover in your life! 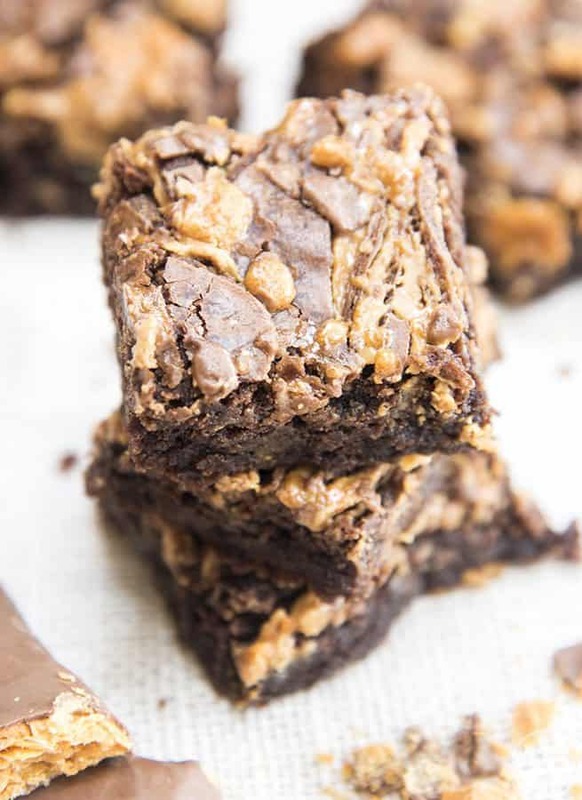 From The Recipe Critic :: Click HERE for the RECIPE If a Butterfinger is your favorite candy bar, then make these delicious brownies. It is the best of both worlds! 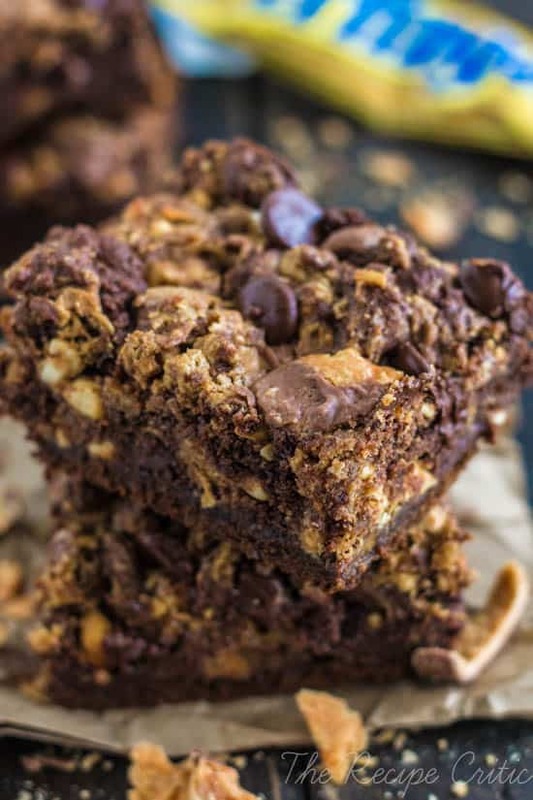 From Like Mother Like Daughter :: Click HERE for the RECIPE These Butterfinger Brownies are packed full of Butterfinger baking bits and swirled with peanut butter for a recipe all chocolate and peanut butter lovers will go crazy for! From Lemons for Lulu :: Click HERE for the RECIPE This Butterfinger cake is two layers of decadence! A rich chocolate cake is layered and filled with chocolate ganache and topped with Buttercream and Butterfingers! 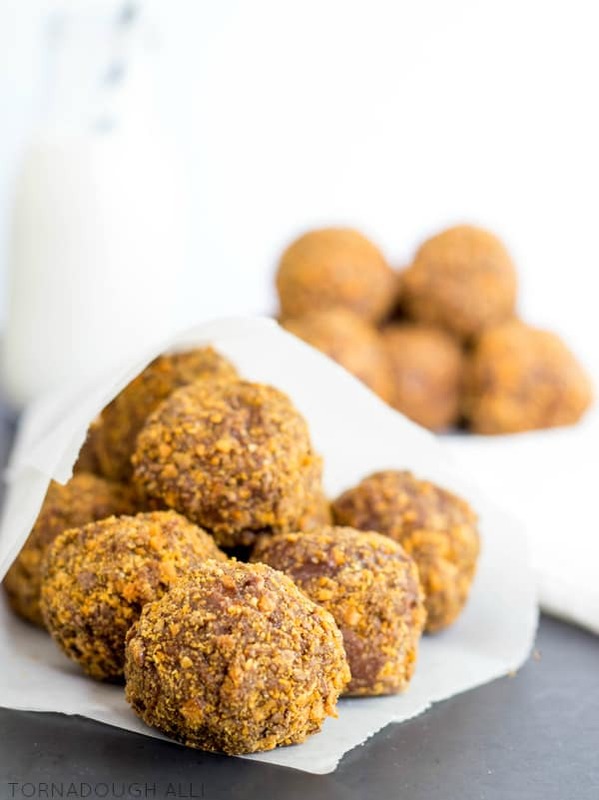 From Tornadough Alli :: Click HERE for the RECIPE Decadent cake donuts dipped in creamy chocolate poured glaze and coated with delicious crushed Butterfinger bites make these Butterfinger Donut Holes a great popable treat! 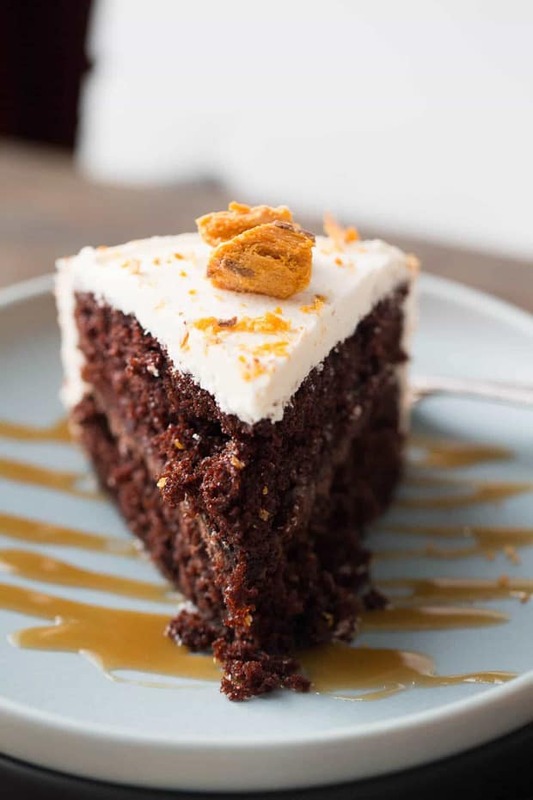 From Gonna Want Seconds :: Click HERE for the RECIPE Our easy Butterfinger Cake recipe starts with a cake mix so it’s a snap to make. Uniquely moist, flavored with chocolate and caramel, and topped with a thick generous layer of whipped topping and crushed butterfingers. Perfect any time you need a yummy, easy dessert to feed a crowd! 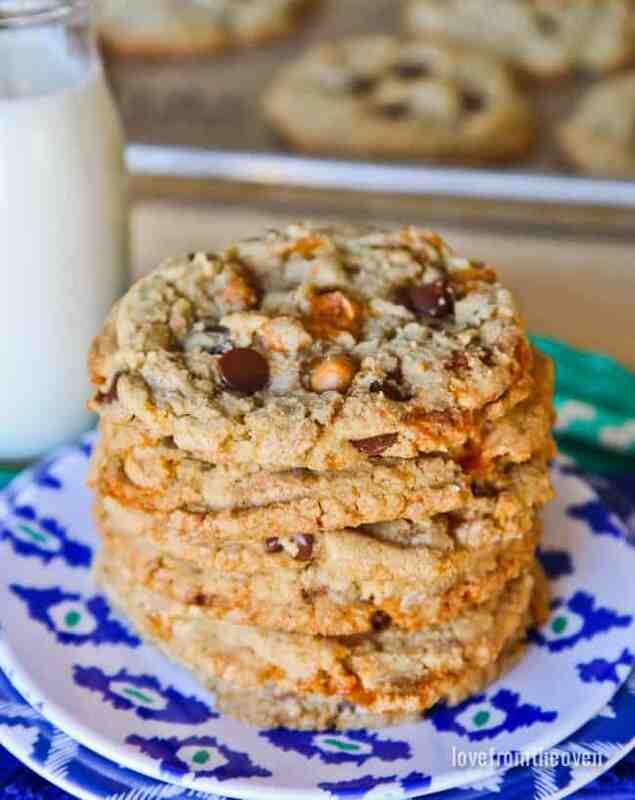 From Love From The Oven :: Click HERE for the RECIPE Looking for a fun twist on classic cookies? 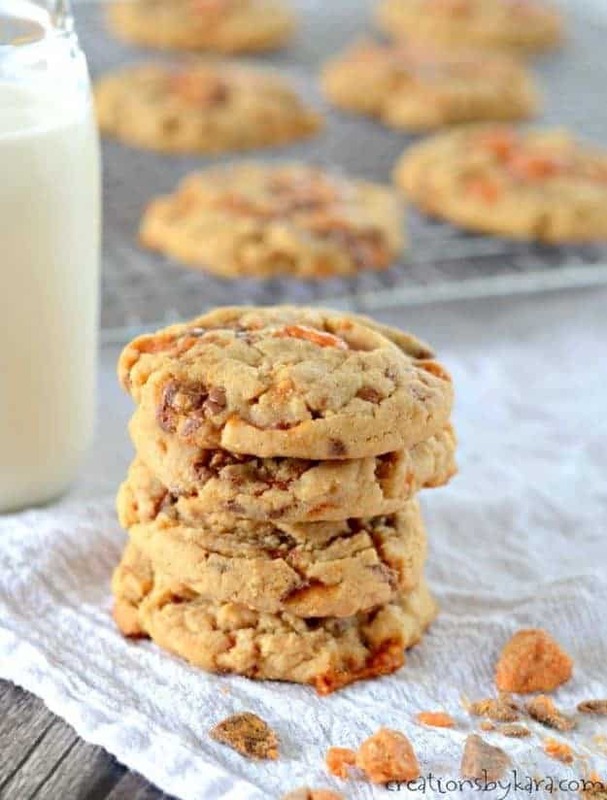 These Butterfinger Butterscotch Cookies are packed full of flavor! 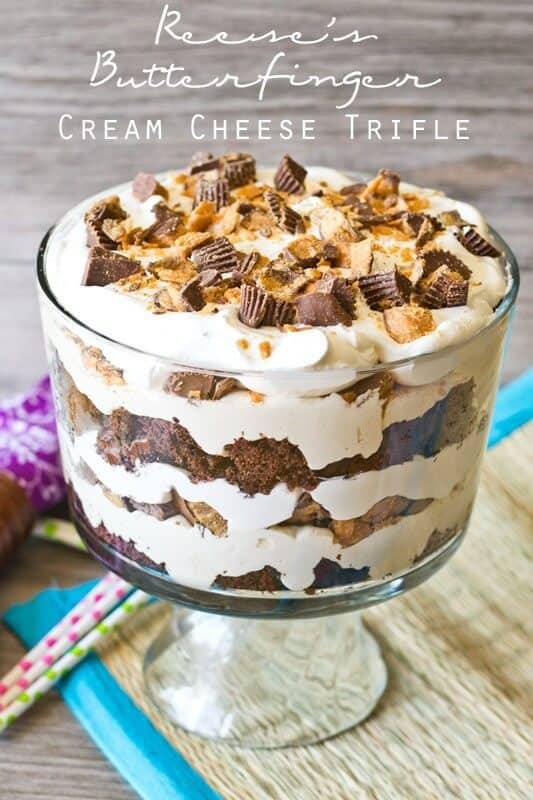 From Taste Of Lizzy T :: Click HERE for the RECIPE Peanut butter and chocolate lovers will go crazy over this Reese’s Butterfinger Cream Cheese Trifle. It has an chocolate cake layered with fluffy cream cheese filling and chopped up Oreos, Butterfinger and Reese’s cups! 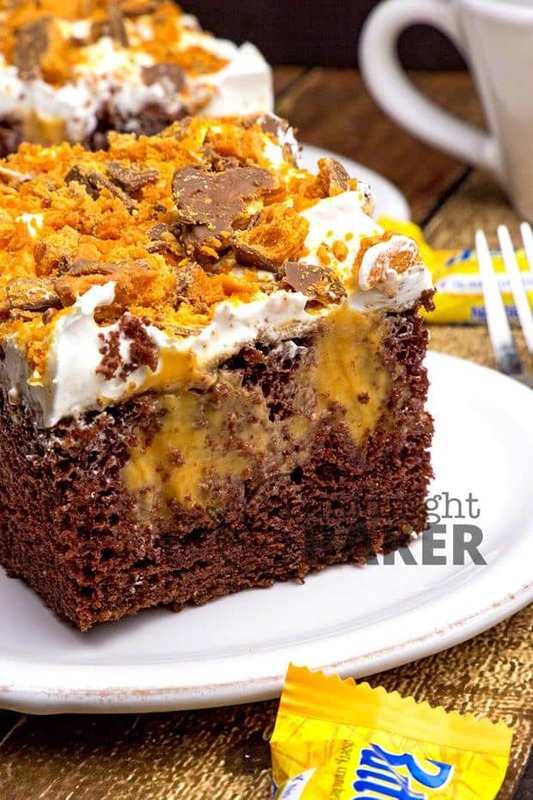 From The Midnight Baker :: Click HERE for the RECIPE A poke cake especially for chocolate and Butterfinger lovers! Easy to make and even easier to eat! From Dinner At The Zoo :: Click HERE for the RECIPE Using different candies to jazz up an easy fudge is a great way to use up extra candy. This Butterfinger Reese’s Fudge has two different candies in an easy white chocolate fudge. It’s the perfect little treat to package up for friends and family for the holidays. 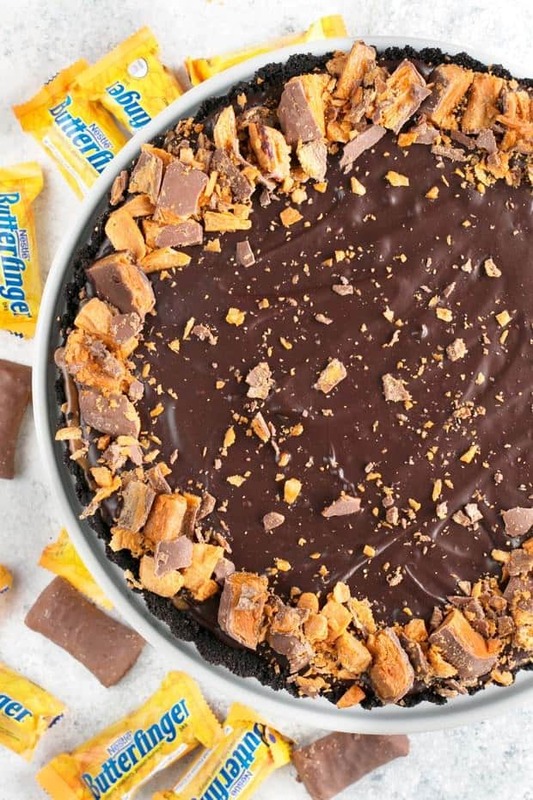 From Cake N Knife :: Click HERE for the RECIPE An Easy Butterfinger Caramel Ganache Tart is just the dessert to wow the crowd at your next football party. It’s a deceptively simple yet totally drool worth indulgence that’s perfect for pairing with beers or bourbon/whiskey. With only 5 steps, it’s the low maintenance chocolate dessert you’ve been searching for! sounds great! making this weekend!